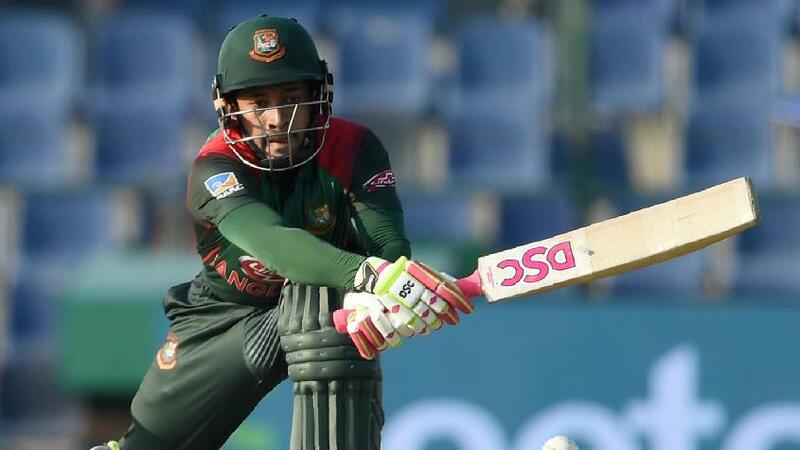 Bangladesh's Mushfiqur Rahim believes the three one-day internationals his team will play during their tour of New Zealand will serve as ideal preparation for the ICC Men's Cricket World Cup 2019. New Zealand are ranked No.4 on the MRF Tyres ICC ODI Team Rankings. Playing against such high quality opposition, in high-scoring matches, and in conditions that are close to those that can be expected in England, will only help Bangladesh, Rahim said. Kane Williamson's side struggled against India in the recent ODI series, slipping to a 4-1 loss. Yet, they remain a force to be reckoned with at home. Bangladesh call up Shafiul Islam for ODIs, and uncapped Ebadat Hossain for Test series against New Zealand. "It will be a difficult challenge in New Zealand," said Rahim. "India won the ODI series but New Zealand fought really hard. They have a really good bowling attack but I believe that our team will do well. "It will be the ideal preparation ahead of the World Cup. There may be high-scoring matches. If we can overcome those challenges, it will only help us for the future." Bangladesh have never won an ODI match in New Zealand, and they hope this tour will mark a first. “If you look back, you see that we have lost some close ODIs against them," said the wicket-keeper batsman. "But this time we are more experienced and more confident to beat them on their own soil." The teams are set to play 50-over games in Napier, Christchurch and Dunedin, starting 13 February.